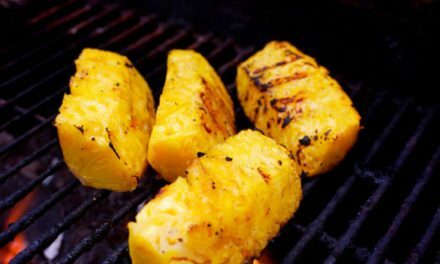 With Summer sneaking up, I thought I’d talk a bit about some of the evil myths out there about backyard barbeque…. Properly roasted ribs are tender but still have some chew, similar to a tender steak. They don’t fall off the bone. If they do, chances are they have been boiled. 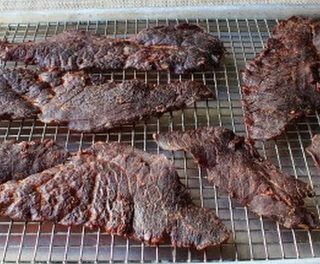 In KCBS and FBA competitions, the judges do not like the meat to fall off the bone. The meat must have some consistency and not be too dry or mushy. What this means is the meat must stick to the bone well enough so you can pick a bone up and eat it without the meat falling off the bone by itself. But when you bite it, the meat should easily pull clean from the bone. 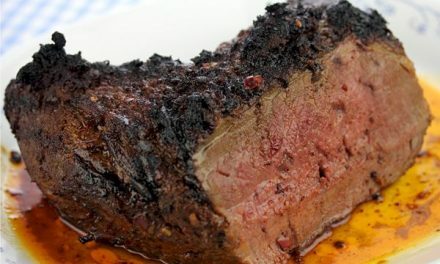 If you can bite into the rib and get that "half moon" bite and then the rest of the meat comes off easily with subsequent bites, then you have probably hit the nail on the head. "Judging pork ribs can be very subjective. However, when judging competition ribs you must consider a few factors. When sampling a properly cooked contest rib the area of the meat where the bite is taken should be pulled cleanly from the bone with very little effort. The exposed bone of a well cooked rib will often dry immediately. Ribs should be moist, flavorful and possess good texture. They can be presented with or without sauce. Ribs may be presented in single or multi bone presentation. Any questions should be directed to the KCBS Contest Representative. When a rib is overcooked most or all of the meat comes off the bone when sampled. Additionally the meat of an overcooked rib has a tendency to be mushy and have a poor texture." Famed butcher/author Merle Ellis years ago punctured the myth of having to use tongs. He said that a piece of beef is multicellular, not like a balloon. Its more like a sponge. Think of it….a side view of a piece of steak. The fibers are running top to bottom, and the fork tongs merely go between the fibers, not pierce or break them. When you cook, however, you can lose up to 20% from heat pressure forcing the moisture out of the muscle. Worry more about overcooking than using a fork. That being said, I generally prefer tongs just because I can grip the meat and get a feel for how done it is without sticking my finger in it. I always salt and pepper my steaks, it’s one of the things that adds a nice crust to the surface of the meat and enhances the flavor. The key here is that you’re not making beef jerky or smoking salmon and trying to preserve the meat. So in order to get a nice flavorful crust you want to pull the meat from the fridge, season it, and then get it on the grill. If you salt your meat several hours before you cook it, you’re doing it wrong. Well, only if you want to knock off all that great seasoning you just applied when you salted your steak. I believe this little myth came about because people want to evenly cook their steak, so turning it gets both sides cooking together. But now you lose that wonderful maillard reaction and you end up heating and cooling both sides of the steak giving you a nice grey steak. Put the grill on the steak, leave it alone, flip it once. You get an awesome crust and tasty browning reacting that comes with roasted meats that we all crave. Having recently had this conversation with my in-laws about properly cooking pork, I can absolutely tell you that just because there is a pink ring just below the surface of the meat that doesn’t mean it’s uncooked. When you slow cook meat you get that awesome pink zone, sometimes called a smoke ring. When you oven cook poultry you can also get pink flesh. This goes to the point above that you always want to use a thermometer when you are cooking because different cooking techniques, the age of the animal the meat came from, how fat they were, even what they ate will ultimately affect how their cooked meat will turn out. When you boil meat and bones, you make soup. Seriously, take a good piece of meat and try to drown it? I’ve heard many times that you need to boil ribs or they won’t be tender. Boiling also removes vitamins and minerals. That’s why the water is cloudy when you’re done. Ribs are most flavorful when roasted and allowed to keep all that yummy goodness. Remember that as the surface of foods heat above 310°F, amino acids and sugars react together, scores of new compounds form, and the surfaces start to brown, a process called the Maillard reaction, and it develops a richness and depth of flavor, not to mention crunchy texture. If you’ve boiled away those compounds, you loose that goodness. Meh, only in restaurants that want to go for flare and not flavor. You eat something hot of the grill and you get a somewhat dry and leathery texture (not to mention a burned tongue). Just like with turkeys and roasts you want to let the meat rest for a few minutes before tucking in to your meal. This gives the muscle a chance to relax from the heat pressure and reintegrate with the juices that got pushed out during the cooking process which in turn gives you a more juicy and tender steak that doesn’t gush juices out on the plate the minute you cut into it. Turns out not a lot happens when you soak wood overnight. The penetration into the wood isn’t worth the effort and it quickly evaporates anyways. You give your meat a nice 10 minute steam bath and then the soaked chips are dry as a bone again. Worry more about the flavor of the wood (apple, oak, mesquite) than how long it has been soaking, after all it’s not a Palmolive commercial. Not quite sure how this one got started, but leaving meat out at room temperature for any length of time is just a really bad idea. Now if you’re dealing with frozen meat (And I often do because we get a lot of our meat from a local farm as a cow share and need to store an entire side of beef for up to a year) you’ll want to put it in the fridge to thaw, and only take it out the moment you are ready to season it and throw it on the grill. On the grill the internal temp heats up nicely and takes you quickly past the danger zone. Blood is thick and coagulates when exposed to air. There is very little blood in the juice. The animals are bled at the slaughterhouse. Most of the color of the juice is due to a protein, myoglobin, that is stored in the muscle. At about 140F red meat begins to turn pink as the myoglobin begins to change. As the temperature rises above 140F myoglobin starts to go from pink to clear, and the meat turns tan. At that temp the meat starts to toughen as the proteins denature.